Denmark’s SPLEEN UNITED somehow never quite managed to break through the glass ceiling of widespread electronic music popularity. Being blessed with the kind of misrepresentative band name which conjured images of a third division UK punk band arguably didn’t help their cause either. Consistently producing music of an equal quality to their nearest counterparts RÖYKSOPP, the band produced three albums and although have not technically split up, ended up smashing all of their equipment at their final show at the Northside Festival in 2013. 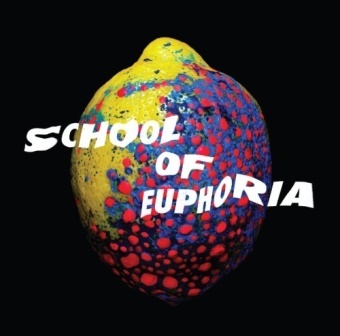 ‘School of Euphoria’ was the follow up to 2011’s ‘Neanderthal’, which in itself was the somewhat muted sequel to the sparkling electro-pop debut of ‘Godspeed Into The Mainstream’. 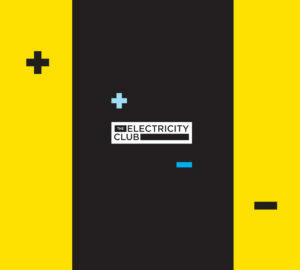 What sets ‘School of Euphoria’ apart from its two predecessors is the influence of Acid House – the Roland TB303 Bassline looms large across the whole album and most of the material is an adrenaline rush of electronic dance, with a wealth of other retro gear being deployed to give the work a retro but cohesive feel. First track ‘Days of Thunder’ is a full-pelt statement of intent with its stabbing synth and vocal samples leading into an opening 303 and vocal attack of lead vocalist Bjarke Niemann – combining melancholic melodies and squelching analogue synths it very much sets the template for a good two thirds of the album. If you unwrap the layers of ‘Misery’, featuring a surprising guest vocal appearance from Gitte Nielson, (better known as Sylvester Stallone’s ex Brigitte), you’ll find the DNA of ORBITAL, with Roland TR909 drums, more stabbing synths and some funky electronic Latin percussion. A drum breakdown leads into what is undoubtedly the centerpiece of the album ‘Sunset to Sunset’, another melancholy-filled dance track, but with an unpredictable jerky/syncopated synth riff bouncing around the verse of song which is a hymn to club culture. Fans of the early works of HARDFLOOR and Chicago House pioneers such as MR. FINGERS will ADORE the way the track busts out into a fully-fledged Acid track which might just have you going through your wardrobe looking for that faded smiley t-shirt you used to wear down to Shoom. The last minute and a half of the track is a chilled comedown which leads into the first downtempo track of the album ‘Simplicity’ – hinging around a hypnotic ‘I want simplicity back, you can have simplicity back’ vocal, the omnipresent 303 is still there in the background, but overlayed with fierce monosynths. Following a similar format to its preceding track, ‘Simplicity’ breaks down to a beautiful floating out, with more cut-ups of the vocal helping wind the track down to its conclusion. The structure of the next few tracks craftily template elements of the second side of KRAFTWERK’s ‘Computerworld’ album, where pieces blend into each other and themes reappear in an almost ‘megamix’ format. ‘Pi’ takes deconstructed snippets of ‘Days of Thunder’ and ‘Euphoria’ before flowing into ‘Bright Cities Keep Me Awake’, then ‘Groundspeed’ and the acidic ‘Mu’. ‘Loebner’ (named after music journalist Lars Löbner Jeppesen) is based around a large sample of THE FLAMING LIPS track ‘Do You Realize? ?’ with its “Everyone you know someday will die” hookline. The only track on the album to feature mainly live drums, the song breaks into another 303 workout before the FLAMING LIPS sample makes a reappearance at the end of the piece. ‘Suburbia’ (not to be confused with the PET SHOP BOYS song) is all syncopated synth house riffs and returns to a welcome song format after the preceding primarily instrumental pieces. The mantra “Love is just a buzz, just a buzz you can’t get” is repeated throughout. ‘School of Euphoria’ was certainly the sign of a band with confidence to go full tilt and change direction with their sound. If you are the kind of person that likes their electronic music tinged with a throwback dance element, then it’s hard to go wrong with this album. Because songs such as ‘Days of Thunder’ and ‘Sunset to Sunset’ utilise such a classic analogue synthesizer and drum aesthetic, they have a timeless feel to them and this work, alongside SPLEEN UNITED’s previous two albums, are certainly worthy of re-investigation. Vocalist Bjarke and Kasper Nørlund have since gone on to pursue a different (lighter) direction with the band LIGHTWAVE EMPIRE with Bjarke being quoted as saying that gloomy and dark music “wasn’t his thing” and that he wanted to make “happy music”; if this is a permanent shift, then this is a significant loss to contemporary electronic music. Bands that can perform synthetic music live in a challenging way utilising hardware effectively are few and far between and SPLEEN UNITED were one of the few (alongside SOULWAX and their contemporaries BATTLE TAPES) that made this type of sound a viable live proposition; for many they will be greatly missed.